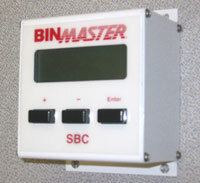 The SBC controlled SmartBob II System can manually control from 1 to 30 SmartBob II Remote Sensors. A measurement is initiated with a push of a button, giving accurate inventory readings in feet of product, feet to product, and percent full. 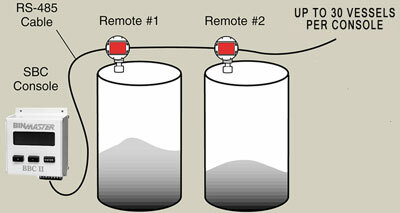 The last measurement on each remote is stored in a non-volatile memory. RS-485 digital communication over a two-conductor daisy chain significantly reduces required wiring and makes for easy installation.